The Browne 5813828 Thermalloy® frying pan has a non-stick coating to ensure food and grease do not stick to the pan’s surface, making cleaning much easier. With an aluminum construction, the pan is durable for commercial use and heats evenly for quick cook times. The wide base eliminates hot spots on flat burners to ensure that your food heats evenly. 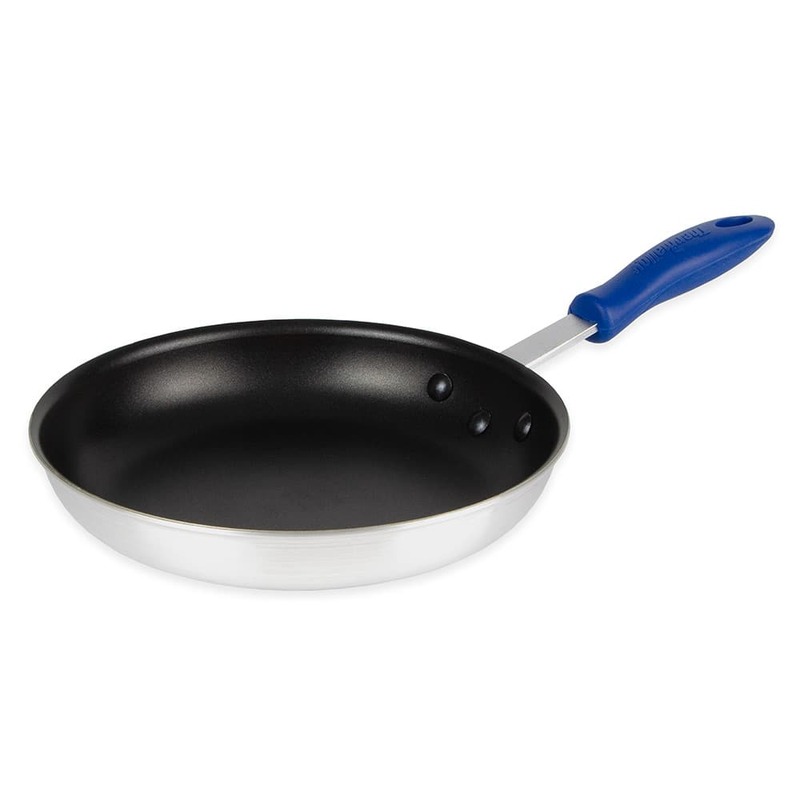 The riveted handle on the Browne 5813828 Thermalloy frying pan is angled for comfort and has a removable sleeve that prevents burns.